This entry was posted in news and tagged branding MINI Clubman press on June 25, 2015 by James Day. Munich/Berlin. The BMW Group unveiled the MINI brand’s new product and brand strategy at the MINI Clubman world premiere yesterday in Berlin. Design, authenticity and long-term value define the new brand image, which will initially be seen in a newly-designed logo, new font and new visuals. 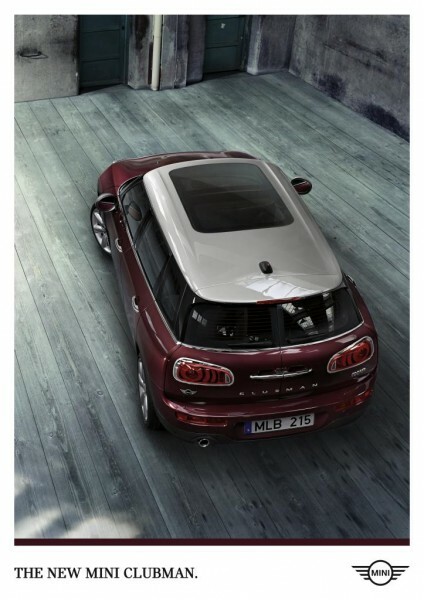 The brand will also explore new approaches to communications in the launch campaign for the new MINI Clubman. The new MINI Clubman is urbane, with iconic design, high-quality materials – especially in the interior – and a focus on the most important functions for the customer. The campaign’s visual language is also defined by simple elegance and high-end, authentic materials. As the first campaign under the new philosophy, the approach is minimalist: presenting a confident design statement that works without headlines and lets the car speak for itself. 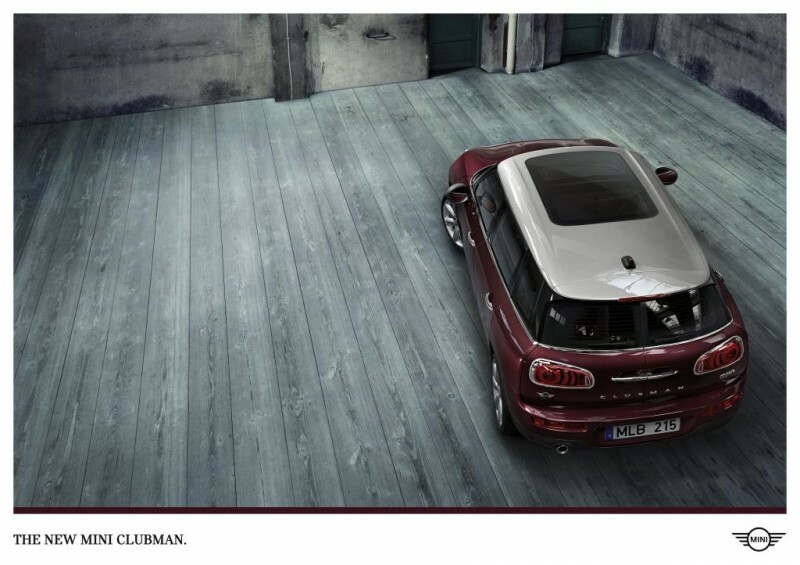 The MINI Clubman is shown in interesting minimalist urban settings, with contrasting details. The backgrounds are genuine and varied, with unexpected elements. The contrast between old and new creates the desired tension. The high-quality design of the MINI Clubman and its “grown-up” image provide the message of the campaign, underlined in the launch film by the claim “go with your gut”: The main reason for buying the Clubman is not a rational argument, after all, but one’s own intuition. The campaign will explore new directions in its efforts to inspire customers and engage them in dialogue, concentrating on a few selected communication channels of particular relevance to the target group. Online pre-communications got underway worldwide on 15 June 2015 with the online film series “The Cultural”. Each film in the series gives creative non-conformists the chance to talk about what moves them and drives them. Clear, minimalistic images tell a short story from the worlds of music, design, architecture and art. All short films convey the idea that instinct plays the main part in major decisions. The films are tagged #GoWithYourGut.